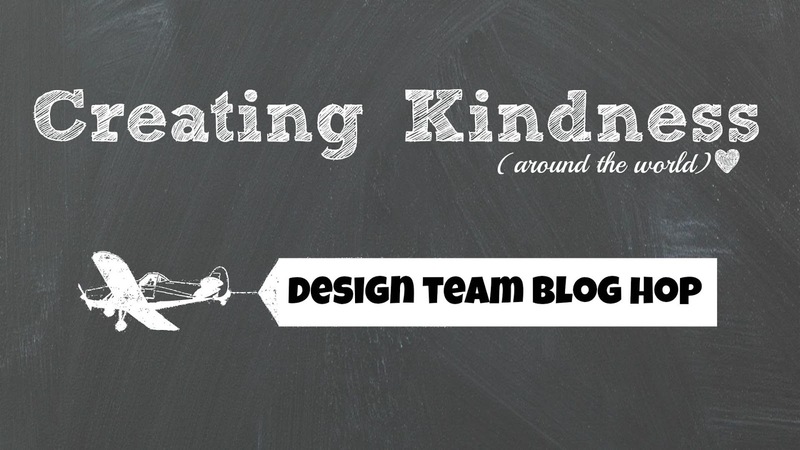 Today I'm playing along with the Creating Kindness Design Team Blog Hop & we are Celebrating! You may have come from the lovely Marcy Denning's blog or you may be starting here with me, but however you came here, I hope you can travel all around the blog hop & the globe with our wonderful team! 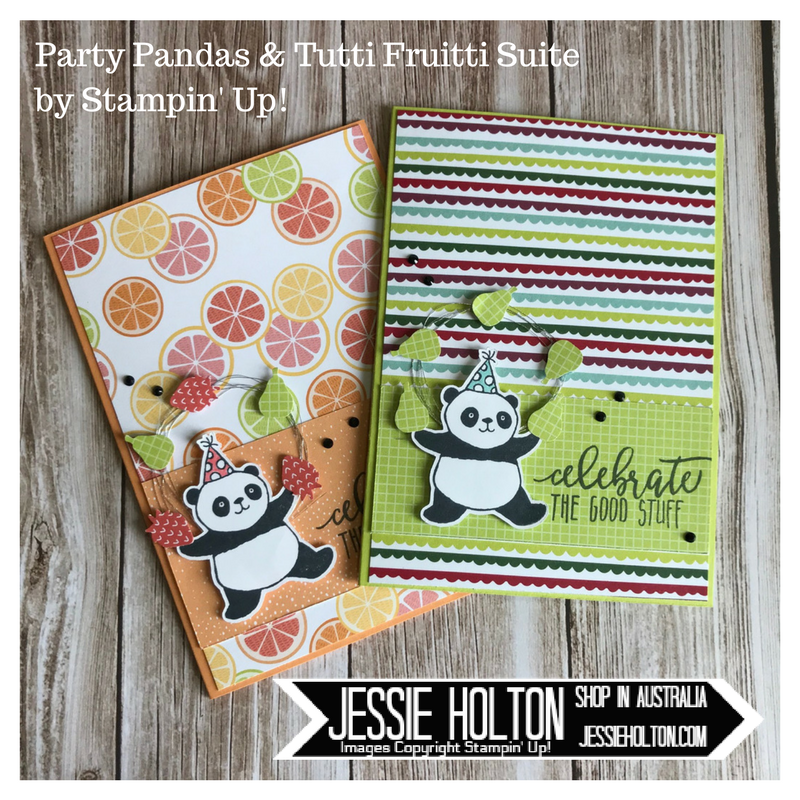 This month's Guest Designer is Sara Levin! Gah! The cuteness overload! It's killing me! I just love these little guys! I have stamped & cut out a bunch of them in bulk cos I just want to put them on everything! I really want to try them out in different colours too, so stay tuned for that! 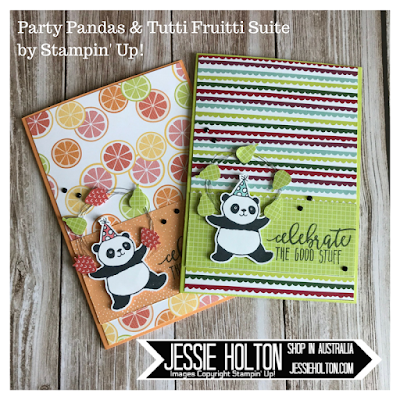 I'm really loving the prints in the Tutti Fruitti Designer Series Paper (DSP) Stack, too. 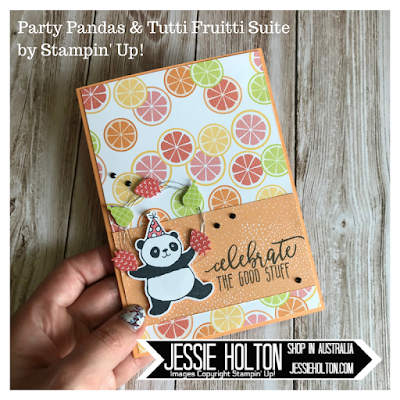 I thought this was a suite that I could live without but decided to get it at the last minute & tacked it onto the end of my order. I'm so glad I did! The Mini Fruit Punches are just adorable! I have used Lemon Lime Twist for the card base on this first card & the pear punch. The sentiment comes from the new Picture Perfect Birthday stamp set. I love these fonts & I thought the sentiment was great cos it really could be used for anything congratulatory or birthday related. 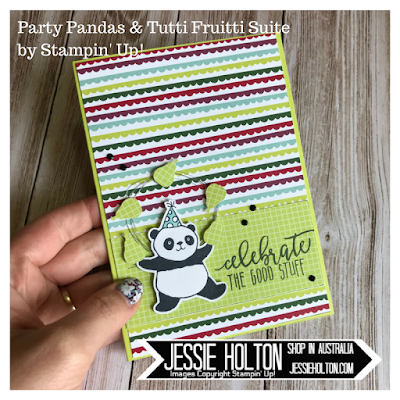 I've used the Pool Party Stampin Write Marker to colour in the party hat, put Mini Dimensionals under the pears & normal sized Dimensionals under the panda. And I've also used up a few of my remaining Black Rhinestones, but the Metallic Sequin Assortment black sequins would look just as good. And some Silver Metallic Thread, cos you know how I feel about that stuff haha! I have to get my hit of Metallic Thread! 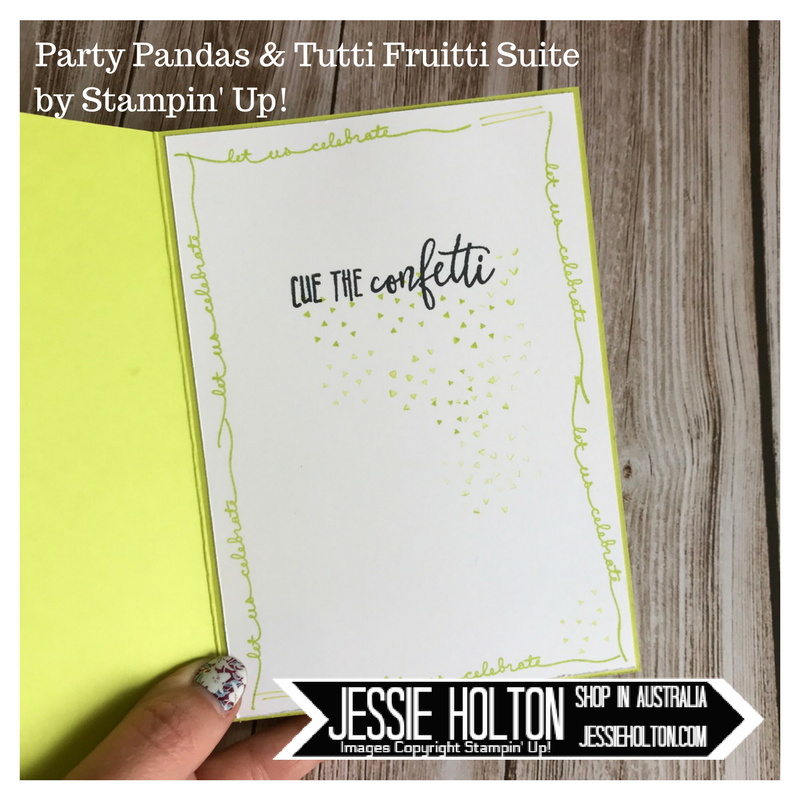 I have used the 'Let Us Celebrate' balloon string from the Balloon Celebrations stamp set to make the border & the other stamps are from the Picture Perfect Birthday stamp set in Basic Black & Lemon Lime Twist. This is the card I have made in the video below. I have used a Peekaboo Peach base & a couple of my left over pear punch outs plus some strawberries & Flirty Flamingo Stampin' Write Marker for the party hat. The rest is basically the same as the first card. 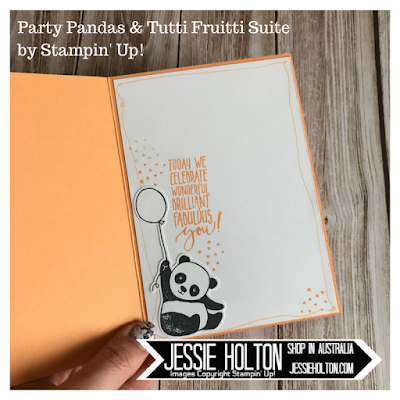 And on the inside, I have used the Peekaboo Peach Stampin' Write Marker to draw a border around the outside, stuck another little panda in here & then stamped the sentiment & images in Peekaboo Peach from the Picture Perfect Birthday stamp set. 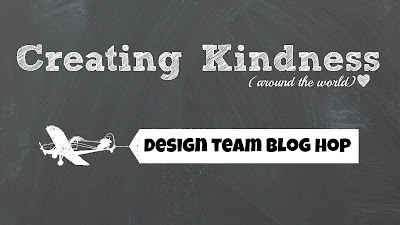 I have also got a little follow up photo for you from the December CKDT Charity Theme Blog Hop. 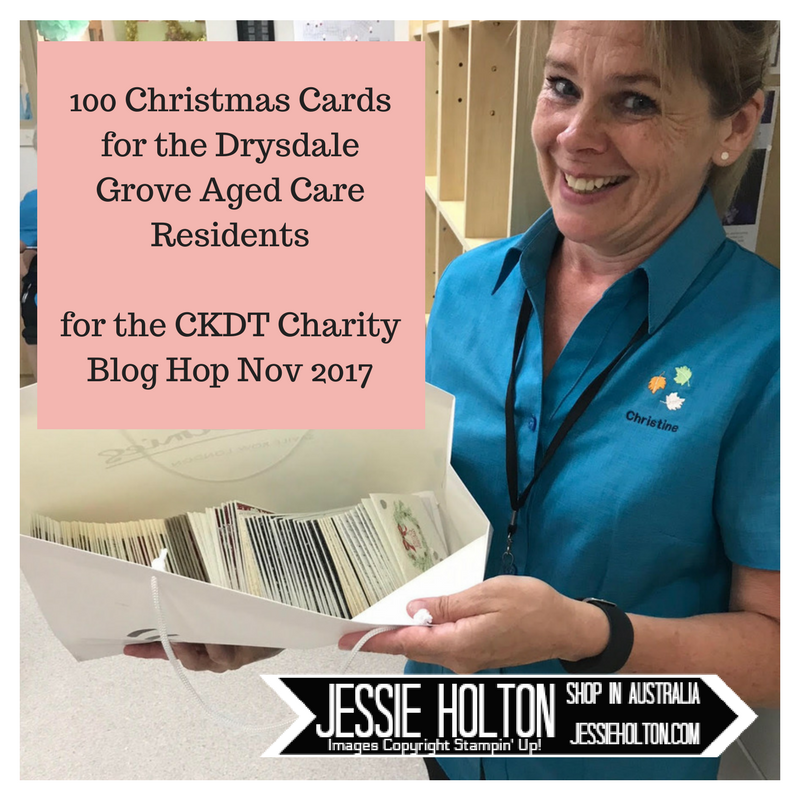 I told you I was making Christmas cards for the residents at the local nursing home. I managed to get them all done & delivered with days to spare! 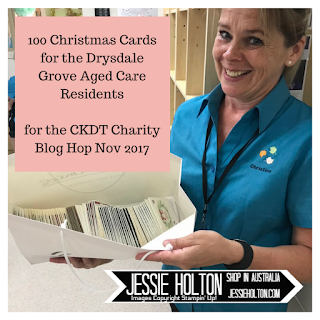 Here is one of the nurses accepting the cards, down at Drysdale Grove Aged Care. I hope you have enjoyed my cards today & that you can hop around the rest of the crew & show some love. Next up is the lovely Jenny Hall who really does a fantastic job organising this hop (& all of us) each month!